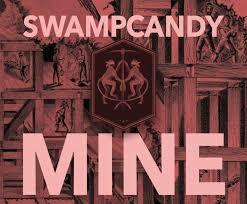 “Mine” is the 5th full length album by the hard traveling, foot stomping roots duo known as Swampcandy. Set for release in October, “Mine” is 13 songs of acoustic and electric americana heavily influenced by primitive blues, world music, hard driving rock’n’roll, rotgut whiskey, almost 2 000 live shows and 100’s of 1 000’s of road miles. The tales they spin are sometimes moral, sometimes dark, yet always timeless. Sonically, the material weaves seamlessly between the incredibly full sound created by the core band, guitarist and vocalist Ruben Dobbs and bassist and foot drummer Joey Mitchell, and the ultimate vision of the songs replete with keyboards, strings, vibes and more. Just over half of the songs on this album were recorded during the “Land” sessions, the rest were tracked and fleshed out over the last 2 years. There are some concepts involved in this release as well. Together, the previous album “Land”, combined with “Mine”, create the grand vinyl release Swampcandy “Landmine”. The gatefolds of each album when opened and placed one below the other create the board game Swampcandyland that comes with instructions, playing pieces, dice and mysterious “The Flask Of Question”. Just like their music, the game is open to interpretation. “This album evolved very organically”, Dobbs explains. “About a year after ‘Land’ was done I started working on material that would become ‘Mine’ and I started seeing how the 2 could be tied together. The concept of the game came during the recording of ‘Land’. The song ‘Swampcandyland’ came 1st, for the album, and then the idea of the game emerged. I brought in my friends who help me with creative stuff, and we came up with the entire concept, then we tested it and woke up a day later and saw it was good”. Despite being the theoretical musical bookend to “Land”, “Mine” is its’ own album, one that marks a bold departure for Swampcandy from a roots band dabbling in other genres to a band expanding its scope and confidently writing the next chapter of its musical journey. 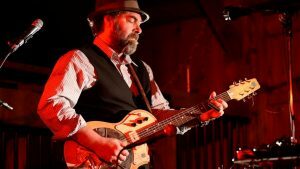 From standard power trio arrangements to ragtime, aggressive finger picking, alongside Hammond B3 organ and grand piano, instruments from the far flung reaches of the earth nestled in with fiddles and violins, violas, cellos, upright bass and slide guitar, there is bound to be something for everyone on “Mine”.